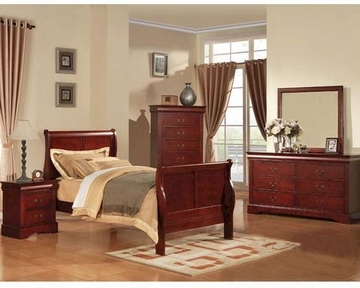 Adding traditional charm to your interiors, this Acme Furniture Bedroom Set in Cherry from the Louis Phillipe collection flaunts a simple, yet elegant style. 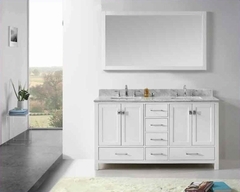 Featuring a wood veneer and solid wood construction, the set is crafted to offer stylish and long lasting performance. 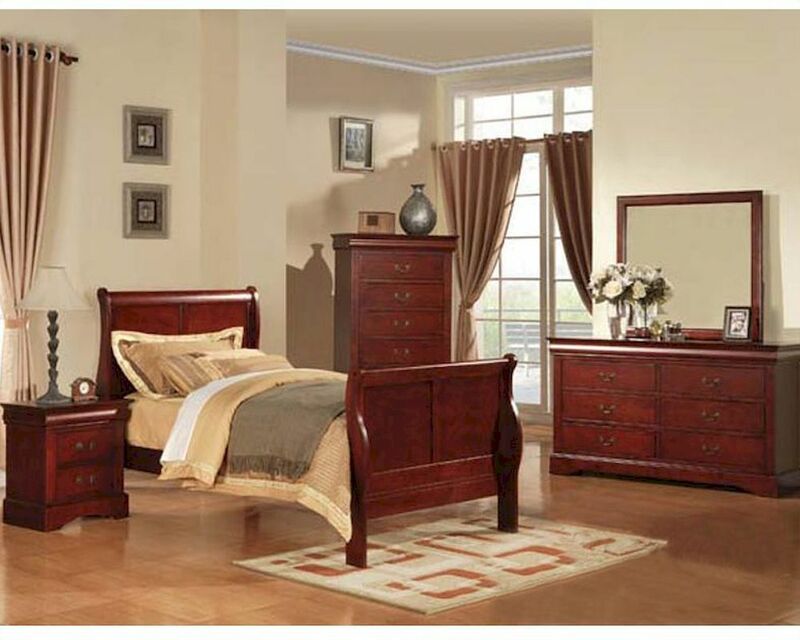 It includes distinctive details that give it a transitional appearance and is finished in a rich cherry color, which brings warmth and class to settings.